Our initial consultations include digital retinal photography and OCT screening to enable early detection of eye diseases. Book a detailed examination today. 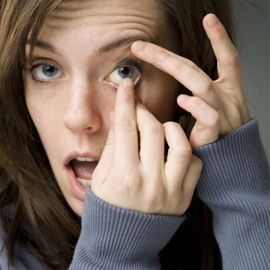 Contact lenses offer the wonderful freedom to see clearly without the need for your spectacles. 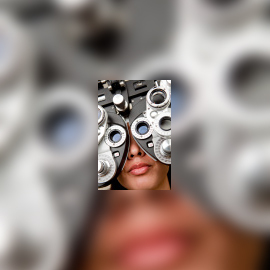 We have a range of weekly and daily options available including multifocals and lenses for astigmatism. We know it can be difficult to choose the right frames to suit your style, which is why we have experienced staff to help and adjust your frames as required. 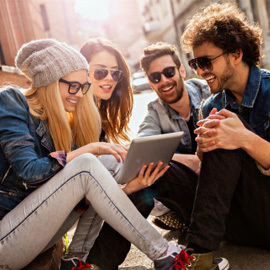 We have over 400 frames to choose from in a wide variety of well-known brands such as Gucci, Prada & Ray Ban and some interesting boutique brands like Moscot, Masunaga & Caroline Abram, all with a 2-year warranty guarantee. Designer brands, on trend, fashion & fun! 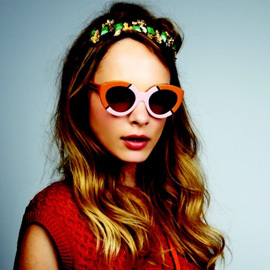 At St Kilda Eyecare we stock a unique range of optical frames and sunglasses to suit a variety of tastes and requirements. Our onsite lab is able to make glasses to match your prescription in approximately one hour depending on the prescription’s level of complexity. We also offer a Prescription Alteration Guarantee - if your Optometrist changes your prescription within three months, we'll replace your lenses for free! We use the HICAPS system, so we are able to process your health fund optical extras and Medicare claim in store, meaning you will only have to pay the gap at time of purchase. If you’re wanting to donate your old spectacles, we collect these for the Lions Club and provide regular donations to Optometry Giving Sight in order to help provide for those around the world who do not have access to basic eye care. We’re also stockists of many contact lenses, meaning you can pick them up right away or order more here. Couple this with our complimentary lifetime cleaning and adjustments for your fabulous glasses. 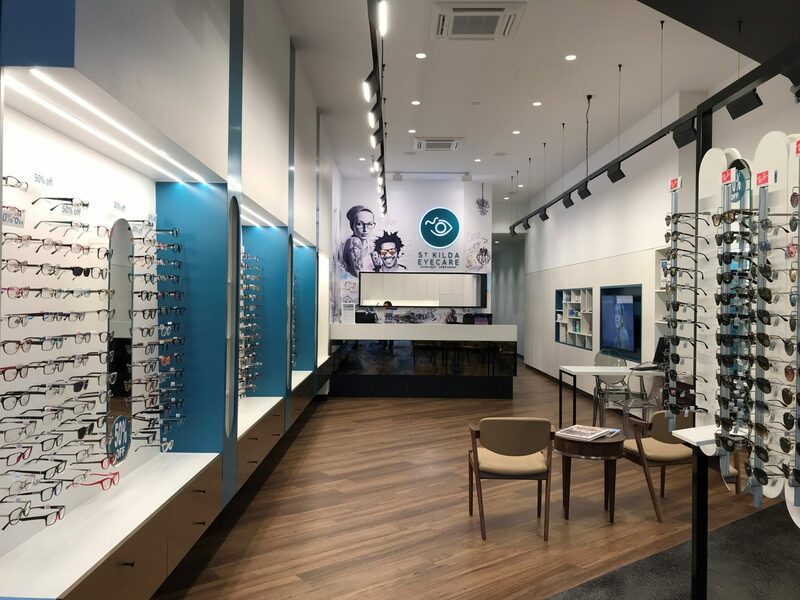 Conveniently located on Acland Street, we’re the ideal optometrist for residents of St Kilda, Elwood, Caulfield, Balaclava, Glen Huntly and surrounding areas. We’re open 7 days a week, so why not drop in to try on the latest styles or book an appointment online for an eye test? 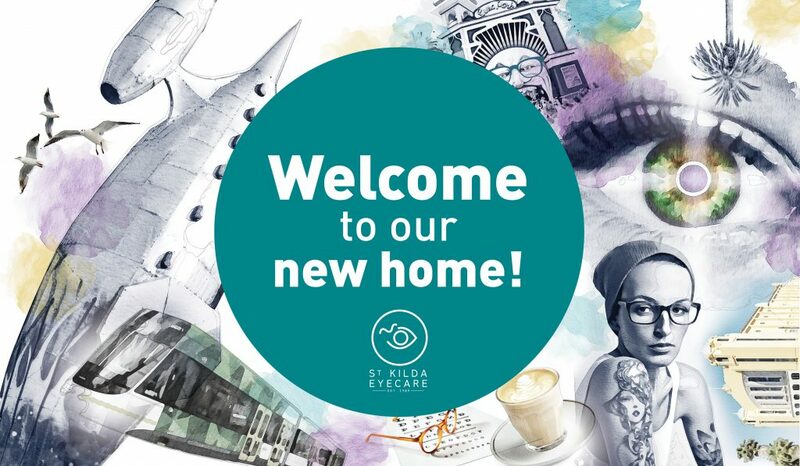 Our optometrists have over 25 years of experience, there’s no reason not to choose St Kilda Eyecare for your next optometrist visit.